Dedicated to remembering those that died during the Greater Manchester blitz. Includes one civilian POW who died at Sarawak. Administratively not part of Greater Manchester, but resided just over the boundary, when they were killed in the Christmas 1940 Blitz. 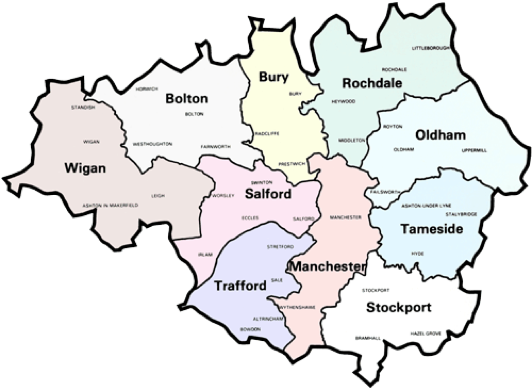 Administratively not part of Greater Manchester, but resided just over the boundary and was buried in Altricham, which is. Again not part of Greater Manchester, but resided just over the boundary, when they were killed in the Christmas 1940 Blitz. The above geographical list of known casualties is next broken down to show the numbers of children (aged under five, and between six and thirteen years), plus adult male & adult female categories. The reason I have chosen the age of thirteen, rather than say - sixteen, to progress from being classed as a child to being an adult, is that some fourteen year olds listed in this document died whilst employed as ARP Messengers. I took the view that as they were undertaking such dangerous adult tasks, often with high explosive bombs falling down around them, it seemed only right that they should be classed as adults? It is impossible to determine how many people were killed each night, due to some being killed before and some after midnight.